You've probably heard it said before that New Year's Eve is the most over-hyped night of the year. In your head, it's all cosy hats, spectacular fireworks and champagne popping; in reality, midnight hits and you're sticking to the floor of your home city's worst nightclub, which you've paid triple the normal price to get into, dancing begrudgingly to the Cheeky Girls. But, maybe we're all just doing it wrong, because with cheap flights and easy hotel booking making international cities more accessible than ever before, it's actually the perfect time to explore a new city and mix with the locals, with a big night out almost guaranteed. So, where to go on a last minute New Year's break? Here are our picks! Let's start with the city that is, arguably, the cream of the crop when it comes to what is surely the most basic necessity for a banging New Year's Eve - a big ol' fireworks display. 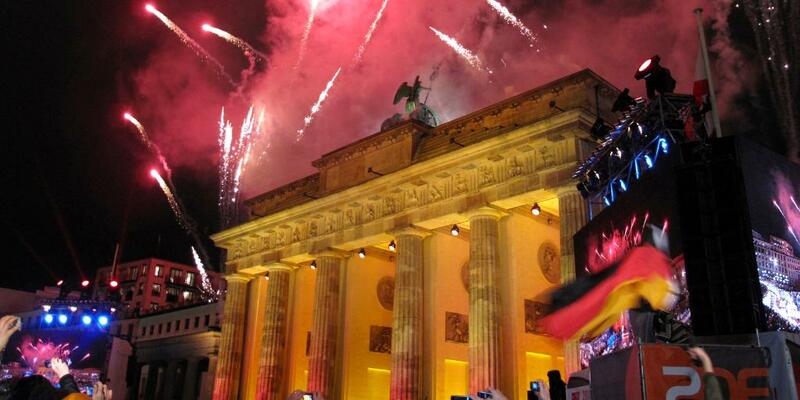 Every year Berlin silently battles it out with London for the crown of 'Europe's best display', and although the city's light show is slightly smaller, it's got the Brandenburg Gate as an accessory and is accompanied by a 2-kilometre-long party with live music, German beer on tap and street food stalls a'plenty. If you're planning to head down to where it's all happening then go early, because in 2017 nearby metro stations had to stop letting people exit by 8pm! As a city also well-known for having some of the coolest clubs and best rooftop bars in Europe, the party is guaranteed to continue long into the night, wherever you spend it. 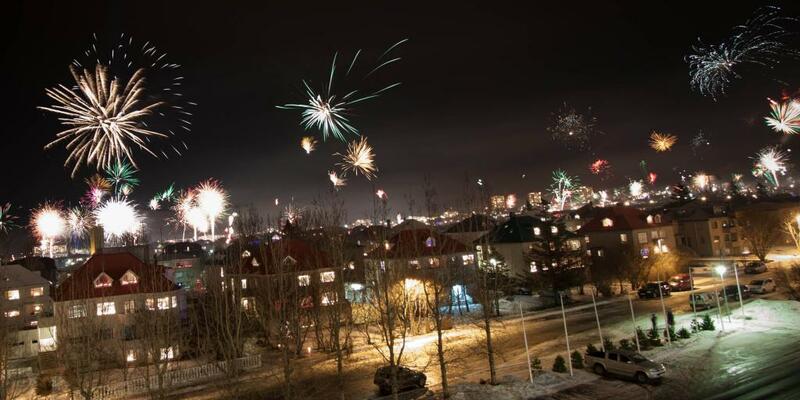 If the classy-but-choreographed fireworks of Berlin or London sound a bit too organised for you, then try spending New Year's Eve in Reykjavík, Iceland, where the locals really know how to let loose. The evening starts with a nice quiet meal with family, followed by a visit to one of the city's many public bonfires to catch up with friends, before heading home to tune into Áramótaskaup, a satirical review of the year watched by an insane 90% of households. Think it all sounds pretty low-key so far? Well that all changes as midnight approaches and residents move back outside to start setting off their own fireworks (an estimated 500 tonnes of them), all at once! After that's all done, most people head to house parties or bars - don't expect to go to bed before 6am. Admittedly, Iceland isn't ever going to be the cheapest option for a New Year's trip, but then this isn't an experience you're going to have anywhere else. If you've got the time to spare, go all out and take a 5 day road trip around Iceland to see the Northern Lights, bathe in the Blue Lagoon and go whale watching too. Italians may be known for doing things with their own unique flair, but New Year's Eve in Naples is notoriously wild, with people celebrating and drinking prosecco in the streets as early as midday, and the firecrackers being enthusiastically flung from late afternoon. A huge outdoor concert in the Piazza del Plebiscito really gets the party started, before a massive pyrotechnic display lights up the sky over the seafront. 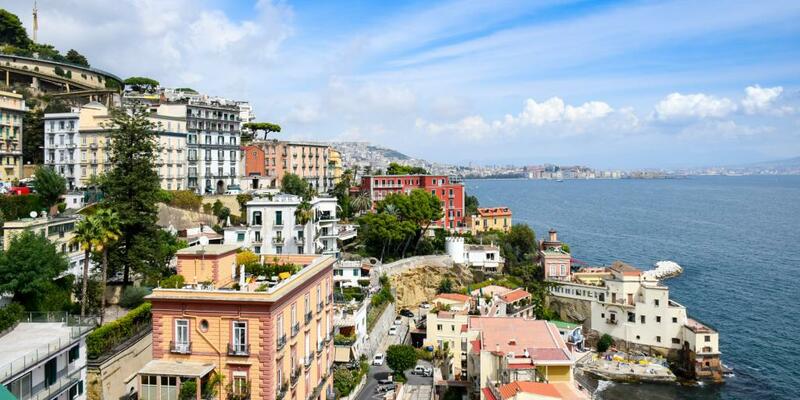 With all this, plus so many affordable hotels in the city and multiple direct flights from the UK and other European destinations every day, Naples is an almost fail-safe option for even the most last minute of New Year's getaways. Top tip: Eat early or book your restaurant in advance as many close at around 5pm on New Year's Eve. New Year's Eve in Budapest can be summed up in two little words: street parties. Sure, you can still find the usual river cruises and organised soirées, but this city's real buzz comes from the way that people pour into the streets clutching beers and bubbly to drink, clink and dance. There are organised, free-to-enter street parties around Vorosmarty Square, Eiffel Square and Oktogon Square, with the latter usually also featuring live bands. It's here that we suggest being when the ball drops, but there won't be instant jubilation at midnight - Hungarians traditionally stop partying for just long enough to sing the national anthem, then return to making enough noise to scare away bad spirits. As European cities go, Budapest is one of the cheapest, but on New Year's Day do as the locals do and tuck into a big bowl of traditional lentil stew, which is supposed to bring you wealth in the coming year! 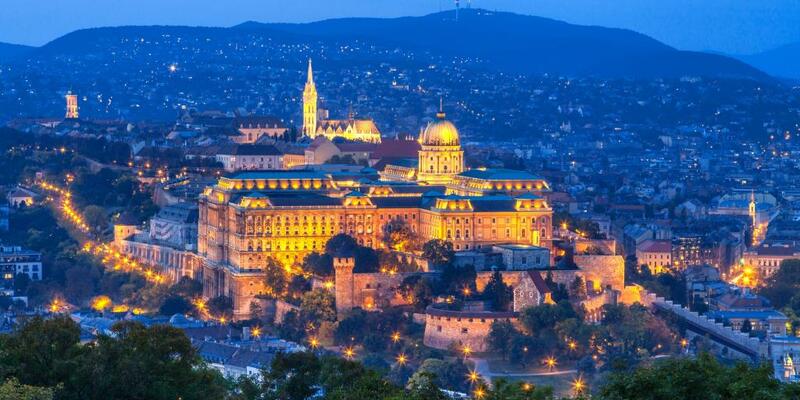 Want to make the most of your weekend in Budapest? 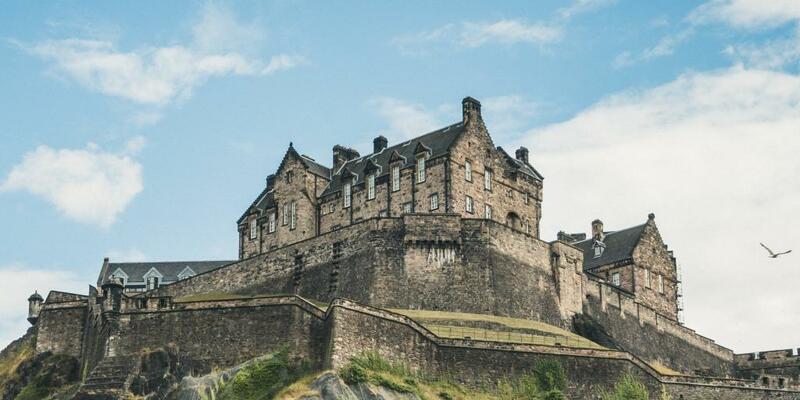 Check out our four-day city break guide! Every year, over 150,000 revellers brave Edinburgh's notoriously chilly weather to join in the fun at Hogmanay, a New Year's Festival spanning three days which kicks off with a torchlight procession on 30th December and closes on the 1st January with performances of traditional Celtic music. In between, there is a wealth of cultural events including a legendary Hogmanay Street Party, which comes complete with giant Ferris wheel and live DJs, and the Concert in the Gardens, which sees performances from chart-topping bands (this year Franz Ferdinand are headlining!) At midnight on the 31st, Hogmanay reaches its peak with a spectacular firework display against the backdrop of the historic Edinburgh Castle. On New Year's Day, you can freeze off your whisky-induced hangover by taking part in Loony Dook, a dip in the freezing waters of the Firth of Forth - bring your best bikini, because wetsuits are for wimps here. Events at Hogmanay must be booked separately and can be purchased via the official Hogmanay website. With average December temperatures of 14°C, Marrakech would be a wise choice if it's a bit of winter warmth that you're looking for on your last minute New Year's break. Although not as widely celebrated as in Europe, crowds do gather in the city's central Jemma el-Fna Square at midnight to see in the New Year amid the snake-charmers, dancers and street performers. Alcohol is available at hotels, restaurants and organised bashes, but the real magic of Marrakech is in washing the old away with a hammam, then cosying up on the roof of your riad with a fabulous meal and someone you love. Alternatively, you could even take an organised trip into the desert to camp out and watch the new year arrive under the stars. 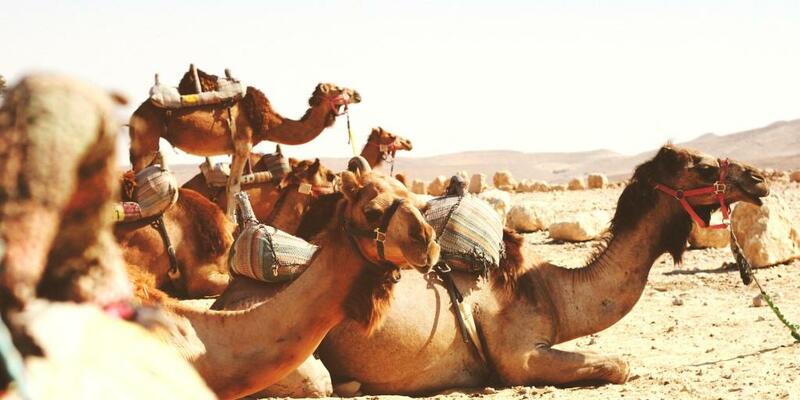 Making the first form of transport you use in 2019 a camel? Better than the tube, we say! 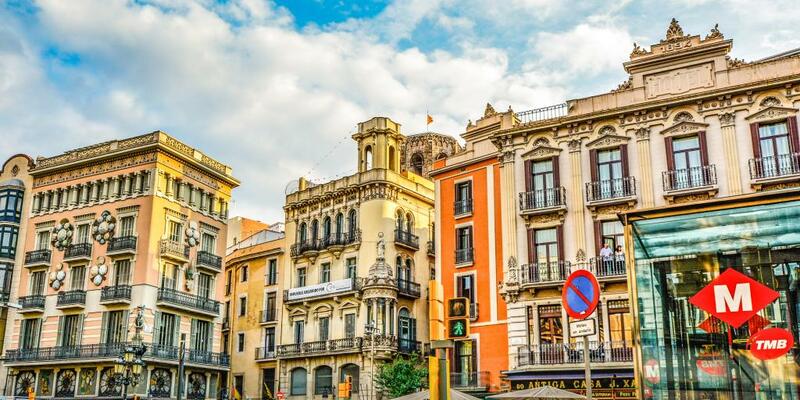 A host of quirky bars, divine restaurants and a cosmopolitan crowd make Barcelona a stand-out option for New Year's Eve with a truly international twist. Aside from the city's official celebrations, which take place around Plaça d'Espanya and Plaça Catalunya, Barcelona offers fun options such as the Gatsby Barcelona, which brings F Scott Fitzgerald's iconic novel to life with live music and glittering dance shows while you eat a scrumptious meal, or the popular celeb-hangout the CDLC club. Wherever you are, be sure to take some grapes with you so you can take part in Spain's 'grapes at midnight' tradition - supposedly, if you can stuff 12 into your mouth before the 12 bongs of the clock are up then you'll have good fortune for the coming year. And if you're needing double the luck, then red underwear apparently helps too!